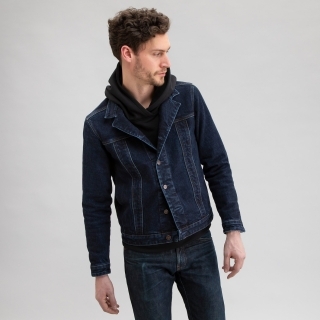 Find the right jean jacket. Grow wiser with it. Find the right jean jacket and grow old with it. It gets better with age and wear. The harder you wear it, the more handsome it gets. We washed this jean jacket and during that process distress becomes visible on the seams. Currently, the wear is a brighter shade of blue, but as this jacket ages, those seams will develop what is similar to a patina (vintage shades of brown will begin to show). 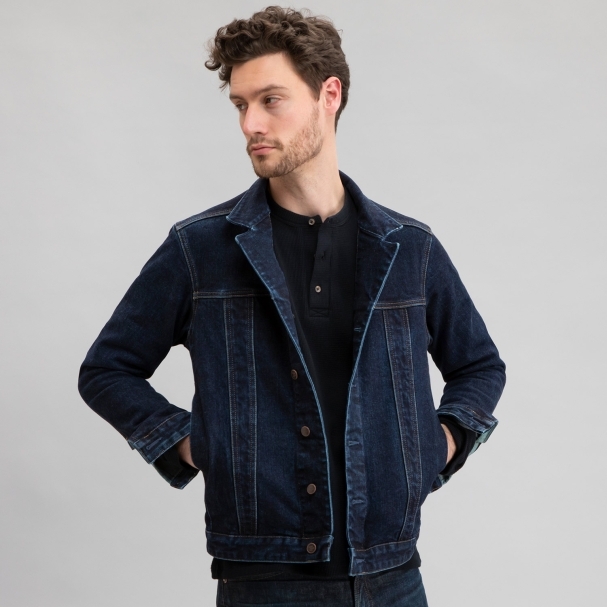 In the design, we minimized features and stitching to subtly distinguish this jacket from trucker and workwear influenced styles. We removed chest pockets and pocket flaps to declutter. 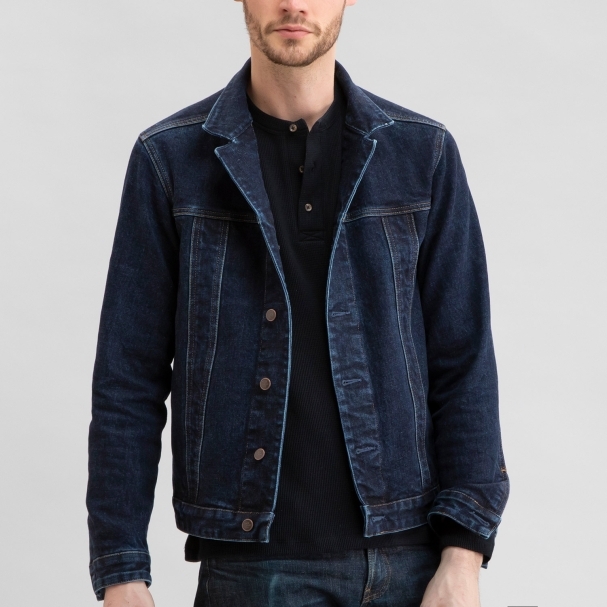 Selectively used navy top-stitching to avoid a busy look. We replaced the traditional wide collar with a smaller collar. 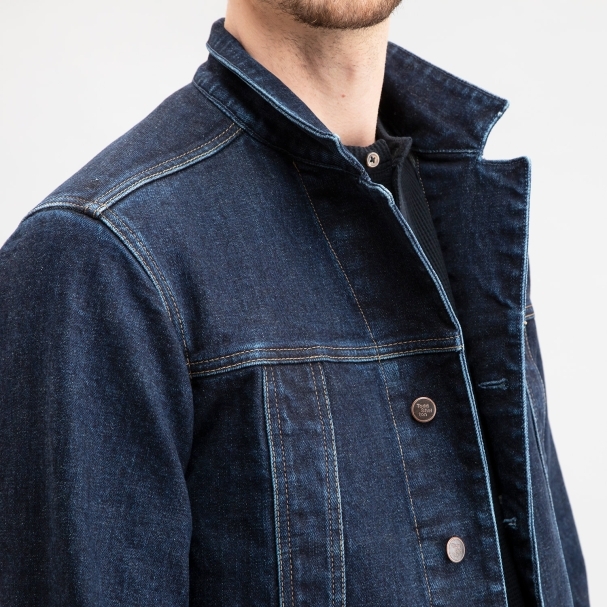 This new design has all the jean jacket DNA you need, just updated, our way. 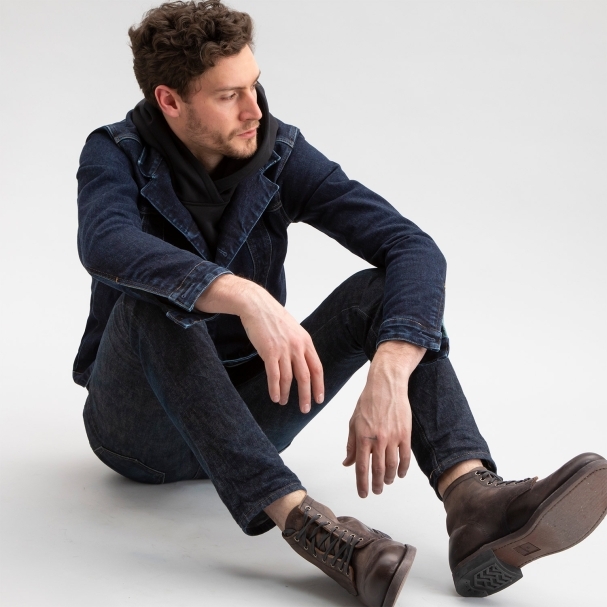 Made of 14 oz Japanese selvedge denim with a touch of stretch. The stretch becomes important in the bending of the arms, more comfort at the elbows. 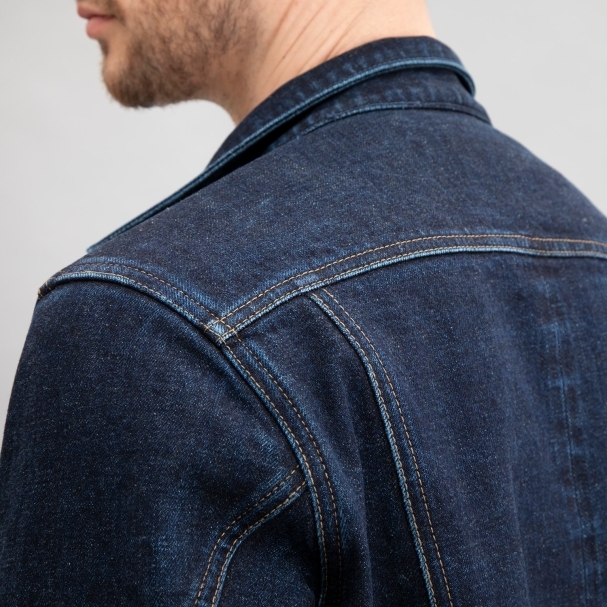 Stretch also allows you to keep the classic, fitted nature of a denim jacket while enjoying some comfort in movement across the back shoulders. 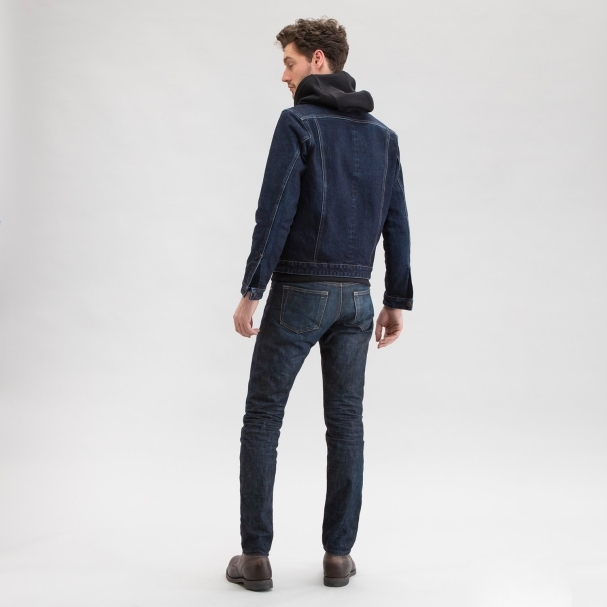 14 oz sanforized selvedge denim What is selvedge denim?